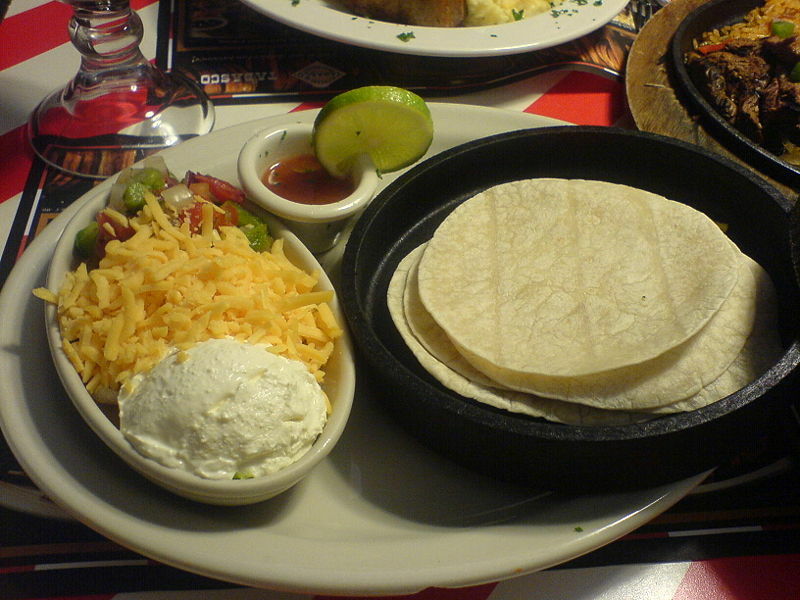 A fajita is a generic term used in Tex-Mex cuisine, referring to grilled meat served on a flour or corn tortilla. Use of the word fajita has evolved from the term for a cut of beef to include the cooking method (thus chicken fajita) and also to define the grilled strips of peppers and onions that usually accompany the meat. Left: Mixed beef and chicken fajita ingredients, served on a hot iron skillet. Though originally only skirt steak, popular meats today also include chicken, pork, shrimp and all cuts of beef. In restaurants, the meat is often cooked with onions and bell peppers. Popular condiments are shredded lettuce, sour cream, guacamole, salsa, pico de gallo, cheese, and tomato. 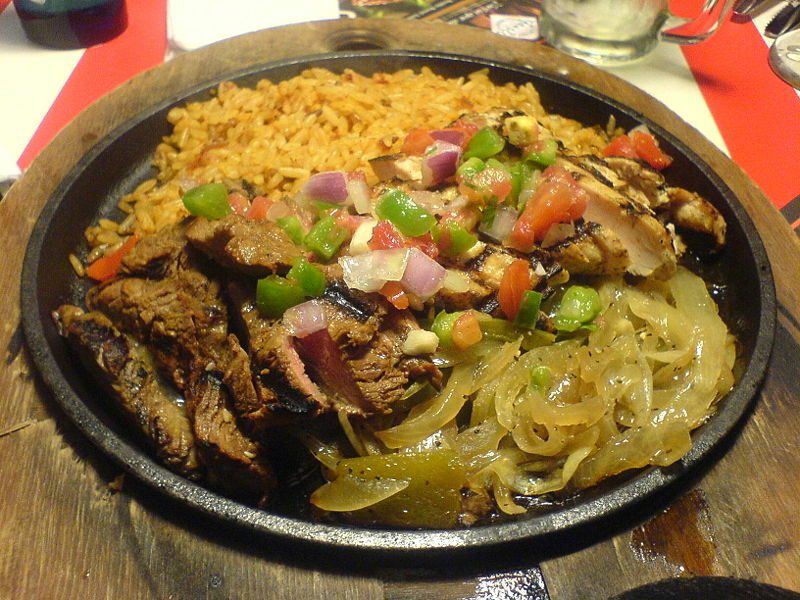 In many restaurants, the fajita meat is brought to the table sizzling loudly on a metal platter or skillet, with the tortillas and condiments served on the side.